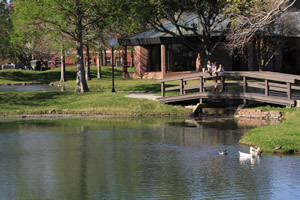 Home to more than 15,000 students, Lamar University is one of the fastest growing universities in Texas and is one of seven institutions of The Texas State University System. LU offers more than 100 programs of study leading to bachelor’s, master’s and doctoral degrees. Lamar University’s enrollment has increased by 78% over the last decade. More than 1,200 faculty and staff members work for the university on its 292-acre campus in Beaumont about 90 miles east of Houston and about 25 miles west of Louisiana. The university has been nationally recognized for the quality of its core curriculum and the diversity of its student body. Small class sizes and a low student-to-faculty ratio allow students to build meaningful relationships with expert faculty who truly care about their success. Lamar was recently designated as a Carnegie Doctoral Research University, one of only 29 public schools in the nation to receive that designation. LU has more than 300 students enrolled in doctoral programs. Lamar University has a 19:1 student to faculty ratio. LU stresses academic achievement by emphasizing hands-on learning at all levels, providing ample opportunities for undergraduate research and supporting an excellent Honors Program. The university is accredited by the Commission on Colleges of the Southern Association of Colleges and Schools. Several LU colleges and programs hold additional specialized certifications recognizing their quality and expertise. Lamar University has a robust and growing online program with 30% of semester credit hours taught online. In addition to offering online courses to on-campus students, LU offers 10 baccalaureate degrees, seven Master’s programs and one doctoral program online. More than 2,500 students live on campus in modern, apartment-style residence halls known as Cardinal Village, which feature private bedrooms and nicely furnished living areas. 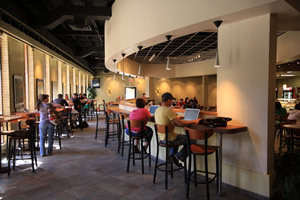 Approximately 4,000 students live within walking distance of the John Gray Library, considered to be the center of the campus. All Lamar University students have access to the gourmet dining hall and the spacious Sheila Umphrey Recreational Sports Center, a showpiece facility with a 43-foot climbing wall, all the latest workout equipment and a range of intramural sports. Beyond the classroom, Lamar University students develop leadership skills and lifelong friendships in more than 200 campus clubs and organizations. Students make an impact through nationally affiliated fraternities and sororities, professional associations, cultural groups, religious clubs and service organizations. Lamar University has an annual operating budget of $168 million. External support for Lamar University research is strong with faculty members securing more than $13 million in federal, state, business and foundation grants to fund their inquiries. Funding sources include the National Science Foundation, the National Institutes of Health, the National Endowment for the Arts, the U.S. Department of Defense, the U.S. Department of Education and many others. LU is home to 11 grant-funded research centers in the Texas Centers for Technology Incubation housed in the College of Engineering. Lamar University has more than 75,000 alumni who live in every county in Texas, in each of the 50 United States and in hundreds of nations around the world. In 2008, Lamar University publicly announced its first-ever comprehensive campaign with a goal of $100 million. The campaign, which runs through December 31, 2013, has raised just over $100 million to date. Lamar University offers Dual Credit courses through a program designed for highly motivated juniors and seniors who wish to enroll in courses for which they simultaneously earn high school and university credit. Texas high school students may select from among 14 different classes that are 100% TEKS aligned in their respective subject areas and have the option of taking the courses on high school campuses that offer the face-to-face classes, or online. The Texas Academy of Leadership in the Humanities (TALH) is a highly selective, early college entrance program for gifted and talented students eager for an enriched intellectual program enhanced by the disciplines of the humanities. The Academy is one of only two residential programs for gifted and talented high school-aged students recognized by the Texas State Legislature. 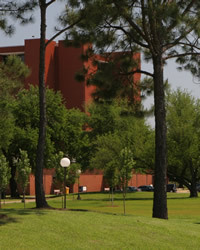 TALH students reside in Lamar University’s Cardinal Village and take the courses from LU faculty. The students in the senior class for 2012-13 are National Merit Scholarship semi-finalists.